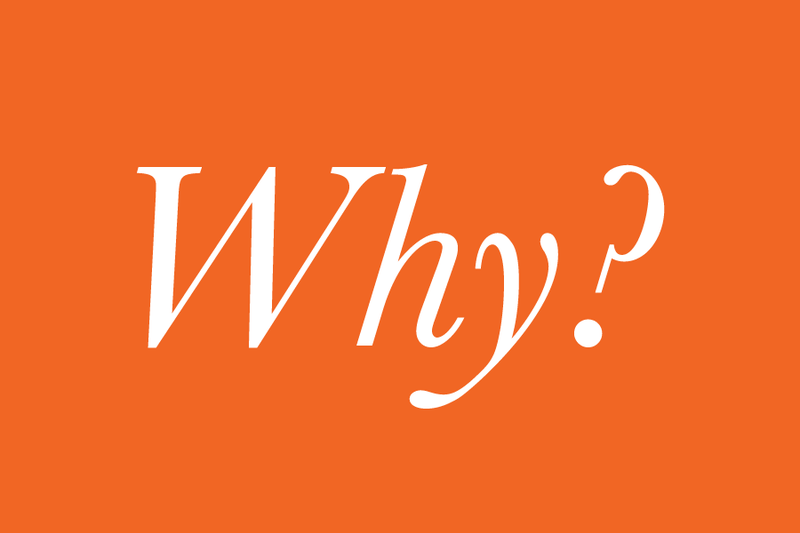 “Why?” text on an orange background. Every so often we get asked the question, “Why are you building Actiview?” What a great question! We’ve been reflecting on why we do what we do, and we thought we’d share our “why” with you all. Because at the end of the day, it’s because of YOU, our awesome community, that we do what we do! From the very beginning, Actiview has been a quest for inclusive access. 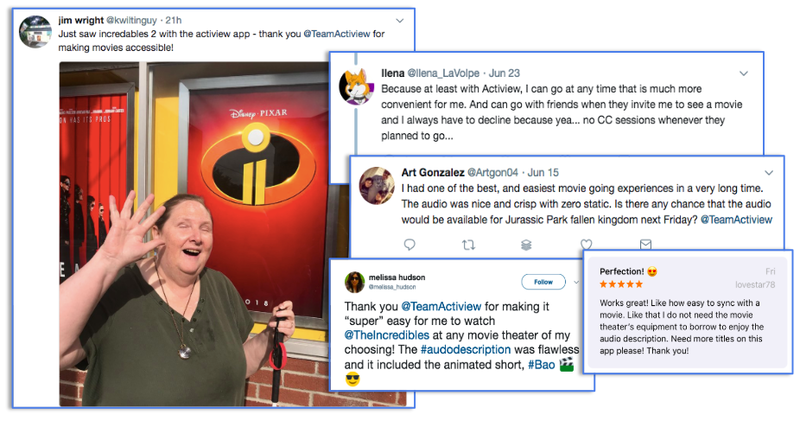 Actiview was born in 2016 when a friend was unable to enjoy a movie because the accessibility device he needed ran out of batteries in the middle of the film. This experience struck us as unacceptable. Movies are a place where people go to relax and enjoy time with friends and family. It’s a time that we can be free of worries and simply enjoy watching a story unfold. And that experience should be available and accessible for everyone. After learning about our friend’s experience, we started researching the technology that existed for people to access movies. During this research, we realized that the problem was more widespread than we expected. 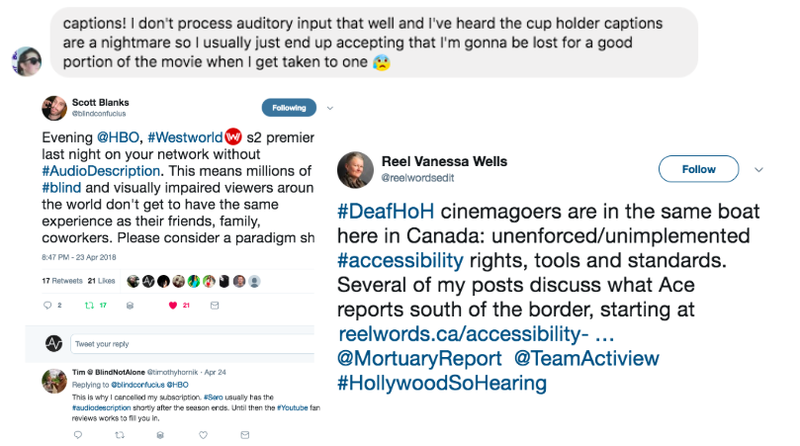 People all over the world who are Blind/Low Vision, Deaf/Hard of Hearing, and/or Foreign Language speaking were being left out of the movie-going experience because the existing equipment was not working, and sometimes wasn’t even available at all! Screenshots of comments on social media about poor access to movies and shows. So we started building our own technology. A mobile application that is reliable, portable, and easily accessible for everyone, regardless of ability. We worked day and night to develop this technology so no one would ever feel left out or frustrated when trying to watch a movie. There are enough challenges we face every day, and we believe that accessibility to entertainment shouldn’t be one of them. 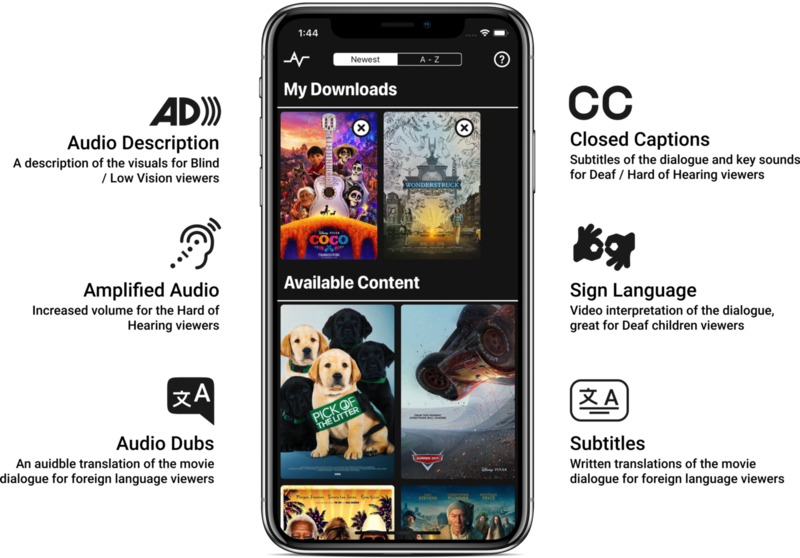 Screenshot of the Actiview app with available services: Audio Description, Amplified Audio, Audio Dubs, Closed Captions, Sign Language, and Subtitles. The Actiview app has been live for a year now, and we hear from people in the Blind/Low Vision, Deaf/Hard of Hearing, and Foreign Language Speaking communities every day how much it means for them to be able to watch a movie without worrying about faulty and clunky devices that are unreliable. They are able to watch movies like everyone else, and THAT is why we do what we do. Our why is helping to make the world more inclusive and accessible for everyone. Screenshots of social posts and testimonials from people who have used Actiview, talking about the great experience they had with the app. Along with building inclusive technology, we strive to be advocates of better access, spreading the word about how important accessibility and inclusion is. One of the awesome people we’ve met in our quest for better access is disability advocate, Ace Ratcliff. Ace is working to educate people about the problems that people with disabilities face in various situations, including access at the movies. Watch Ace Ratcliff’s Upworthy video to learn more. So what our “Why” really comes down to is you. We do what we do to ensure that each and every person has the access they need to enjoy everyday pleasures like movies. We do what we do to help create a more inclusive and accessible world for everyone. Thank you for being our inspiration, and for being a big part of why we do what we do here at Actiview! 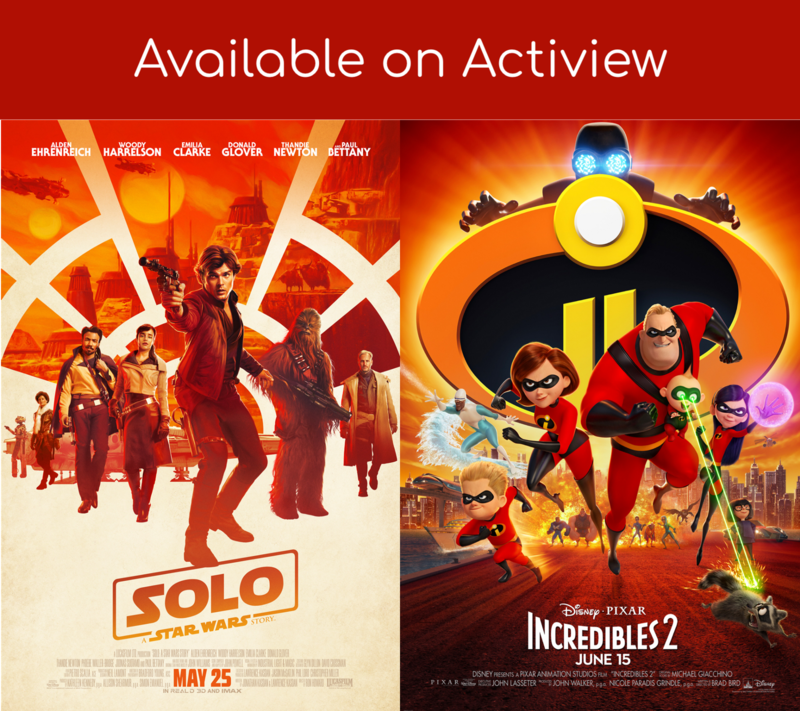 If you’re interested in trying out the Actiview app first hand, you can try it today with new titles like Incredibles 2 and Solo: A Star Wars Story or fan favorites like Breathe and Denial, all available now! Download the Actiview app and experience movies accessibly today! After you try Actiview, send us a note at team@actiview.co to let us know what you think! Can’t wait to hear about your experience.